There is a new face in the technology department at Westview. 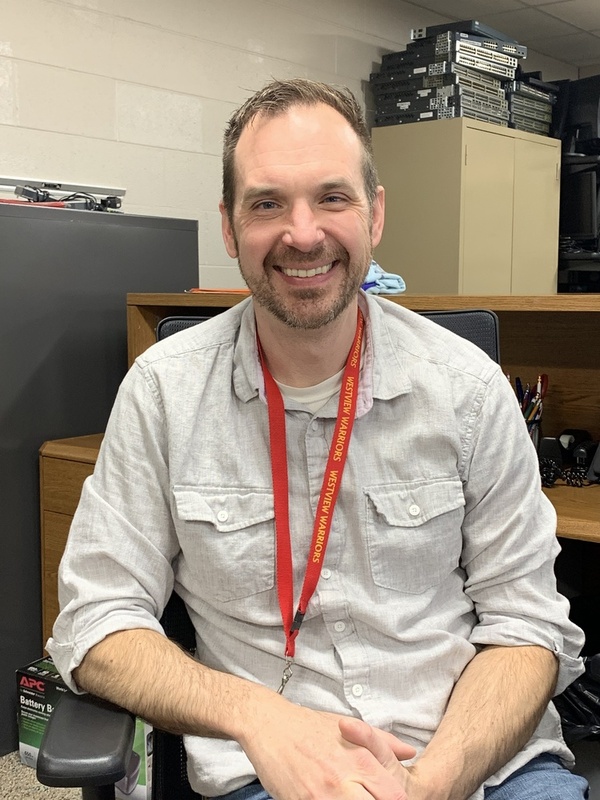 Mr. Randy Sizemore was recently hired as the Coordinator of Technology and brings with him a wealth of knowledge from previous positions in the private sector. Randy graduated from Fairfield High School and continued his post secondary education at Indiana University. He has 4 children (Sydney, Isaac, Charley and Maddox) and is married to Casey (Reyenga) Sizemore, a 2006 graduate of Westview High School. When asked his thoughts about his new position he stated, "I'm excited to finally be working in the education environment." Welcome to Westview, Randy!